The cooperation between Azerbaijan and Turkey in the field of energy totals decades. 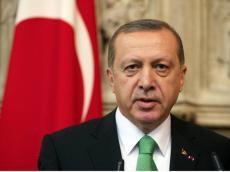 The implementation of a number of projects involving the two countries, including the construction of the Trans-Anatolian gas pipeline TANAP and the launch of the STAR oil refinery, not only strengthened the strategic cooperation between the countries in the energy sector, but also turned Azerbaijan into a major investor in Turkey. The opening of the STAR oil refinery, owned by the Azerbaijani State Oil Company SOCAR, is scheduled for October 19, Turkish President Recep Tayyip Erdo?an said, Turkish media reported on October 16. Erdogan noted that the STAR refinery is one of the important projects implemented by Turkey and Azerbaijan. The plant will reach full production capacity in January 2019, CEO of SOCAR Turkey Energy Zaur Gahramanov told Anadolu Turkish agency earlier. The Star refinery construction project is important not only for Turkey, but also for the entire region. It will also bring the Azerbaijani-Turkish cooperation in the energy sector to a new stage. In the first five years after the launch of STAR, SOCAR’s annual income will exceed $ 600 million a year, and over the next ten years, the enterprise will generate more than $ 800 million annually. The plant will provide Turkey with naphtha, diesel fuel with ultra low sulfur content, jet fuel, petroleum coke, liquefied gas and other products. The refinery will not produce gasoline and fuel oil. The plant plans to process such grades of oil as Azeri Light, Kerkuk and Urals. STAR Refinery, with a crude oil processing capacity of 10 million tons, will meet more than 25 percent of the processed oil products need of Turkey upon its startup. Certified with the first investment incentive granted by Turkey, STAR Refinery will eventually reduce the foreign-dependency of the country. Today the share distribution in the project is as follows: 60 percent is owned by Rafineri Holding (100 percent owned by SOCAR Turkey Energy), which previously bought out all 18.5 percent of Turcas Petrol share in the project, and 40 percent - SOCAR. STAR Refinery, foundation of which was laid in 2011, is located on a 2,400-hectare site on Aliaga Peninsula. The Refinery is underway as the most critical component of SOCAR Turkey’s integrated energy solutions and value chain. As many as 1.6 million tons of naphtha, 5 million tons of diesel, 1.6 million tons of jet fuel, 300,000 tons of LPG, 160,000 tons of sulfur and other products will be produced here. The construction of the Refinery is undertaken by a multinational consortium, comprised of Técnicas Reunidas (Spain), Saipem (Italy), GS Engineering (South Korea) and ITOCHU (Japan). Founded in 2008, SOCAR Turkey, officially titled “SOCAR Turkey Enerji A.?.”, is an affiliate of SOCAR, one of the most well-established oil and natural gas companies of the world. With its total investment volume of $19.5 billion to be realized by 2020, SOCAR is the biggest foreign investor of Turkey. Similarly, SOCAR’s group companies in Turkey, namely Petkim, STAR Refinery, Petlim Container Terminal and Trans-Anatolian Natural Gas Pipeline (TANAP) represent the largest-scale investment Azerbaijan has made to a single country to date. SOCAR includes such production associations as Azneft (the enterprises producing oil and gas onshore and offshore), Azerikimya (the chemical enterprises) and Azerigas (distributor of gas produced in the country), as well as oil and gas processing plants, service companies, and the facilities involved in geophysical and drilling operations.